We have 2 alpha hydrogens available. From the mechanism of acid catalyzed enolization there is a certain carbocation character at the carbonyl carbon because of resonance, and thus I thought that the elimination would be an E1 styled one where the alkene formed is the more substituted one. But if we look at from an 'acidic hydrogen' perspective the hydrogen on the least substituted end is the most acidic whose extraction will lead to a less substituted alkene in the enol form. So which enol would be major in the enolization of butan-2-one under acidic conditions? Would the same enol be major in basic medium? Browse other questions tagged organic-chemistry reaction-mechanism tautomer or ask your own question. Will t-butoxide still form less substituted alkene when there is a possiblity for more stabilisation? 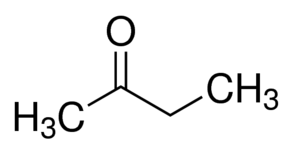 Why are the secondary alpha hydrogens more acidic than primary alpha hydrogens (keto-enol tautomerization)?